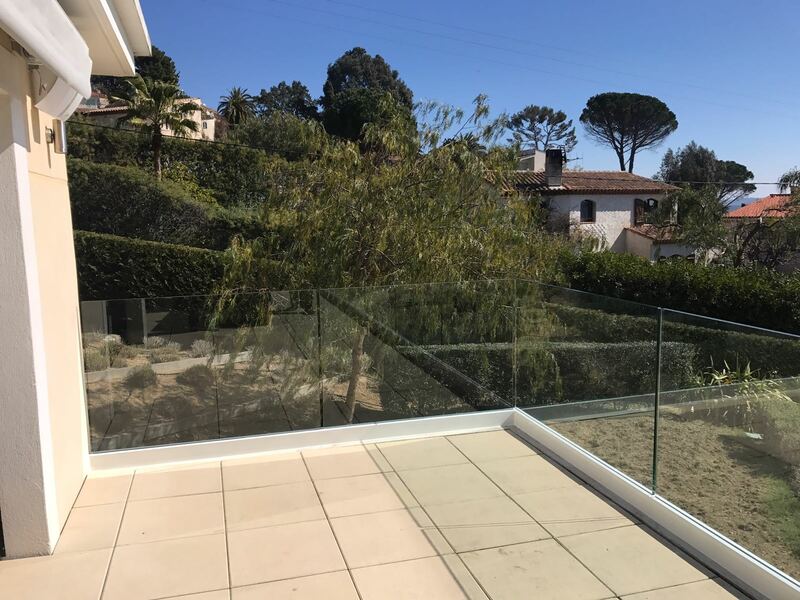 Channel set glass balustrade to an external balcony; a glazed staircase constructed from glass and steel; an internal sliding glass door; frameless glass shower enclosures, a frameless folding glass bath screen and four Juliette balconies. 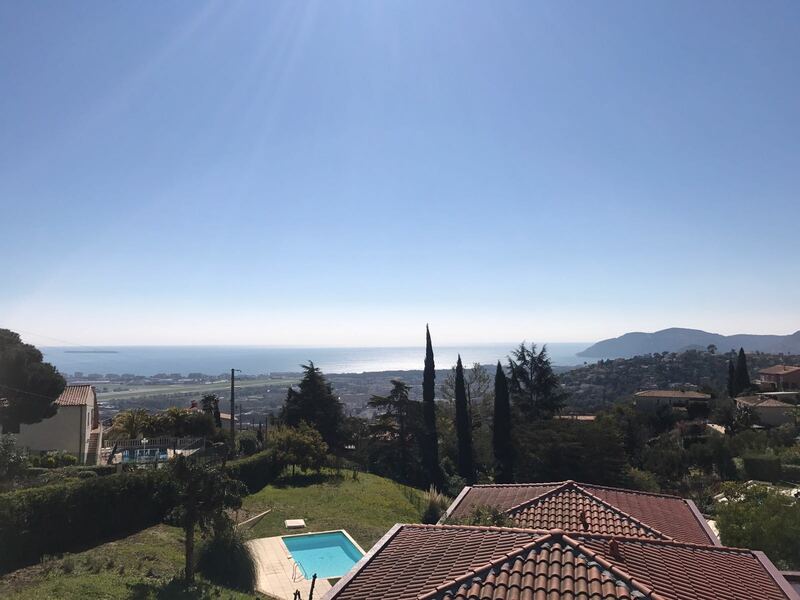 Situated just south west of Cannes on the renowned coast, Mandelieu is an enticing coastal town with a year round Mediterranean climate. 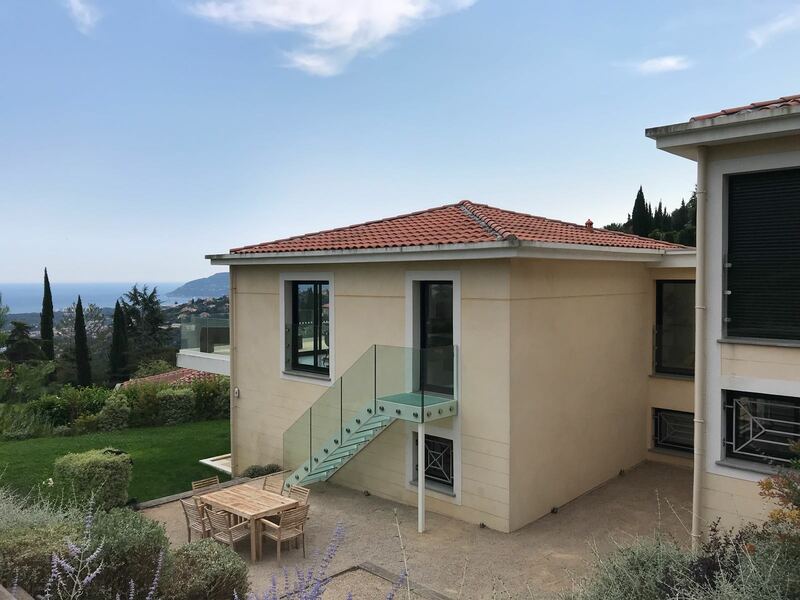 The owners of this Provencal villa in the heart of the resort had previously commissioned Ion Glass to provide structural glass for their London residence and wanted a similar standard of quality and service in their French home. 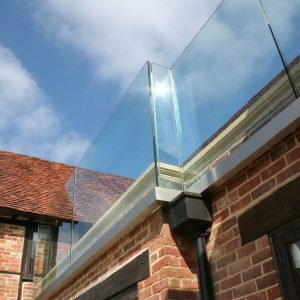 Ion’s brief was to install a variety of different structural glass products throughout the property, introducing a stylish and contemporary feel whilst also improving the functionality of the space. 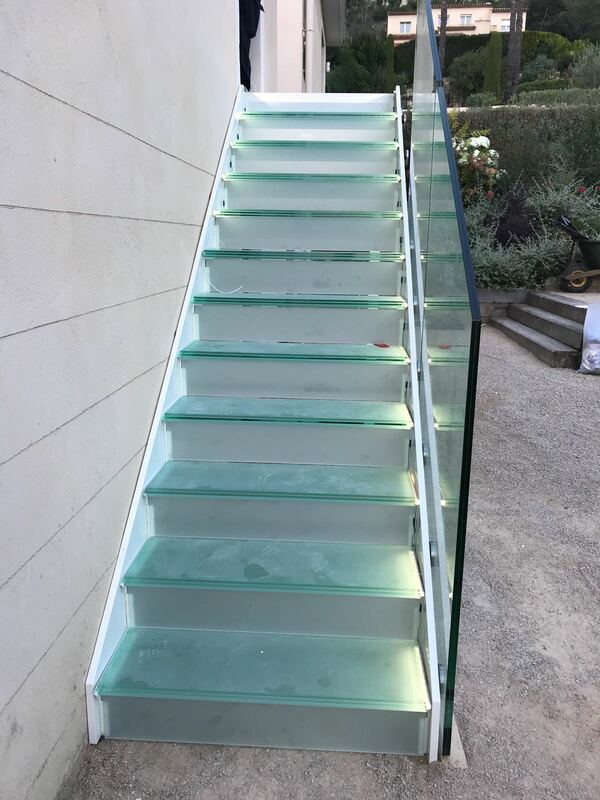 An impressive glass staircase was constructed to link the kitchen to the outside eating area: wholly bespoke, the glass treads are finished in sandblasted glass to create a non-slip surface and illuminated with LED lights for additional styling and enhanced safety at night. 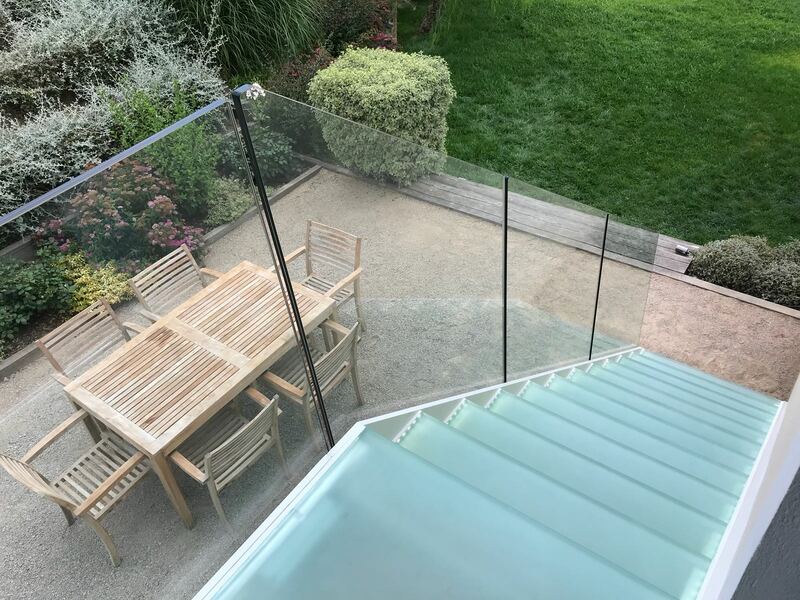 A channel set glass balustrade was installed to the external terrace to make maximum use of the stunning views: the glass balustrade sits around two sides of the terrace with a clamped glass infill on the third, stone wall. 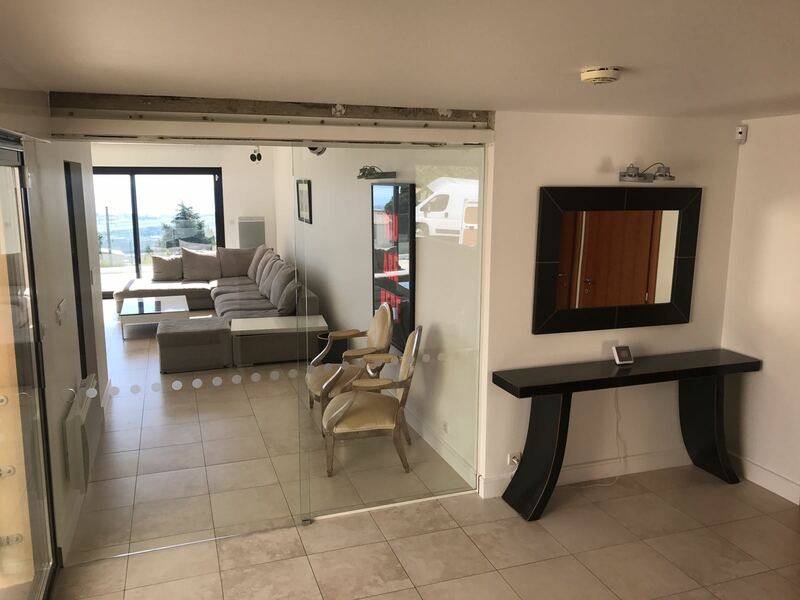 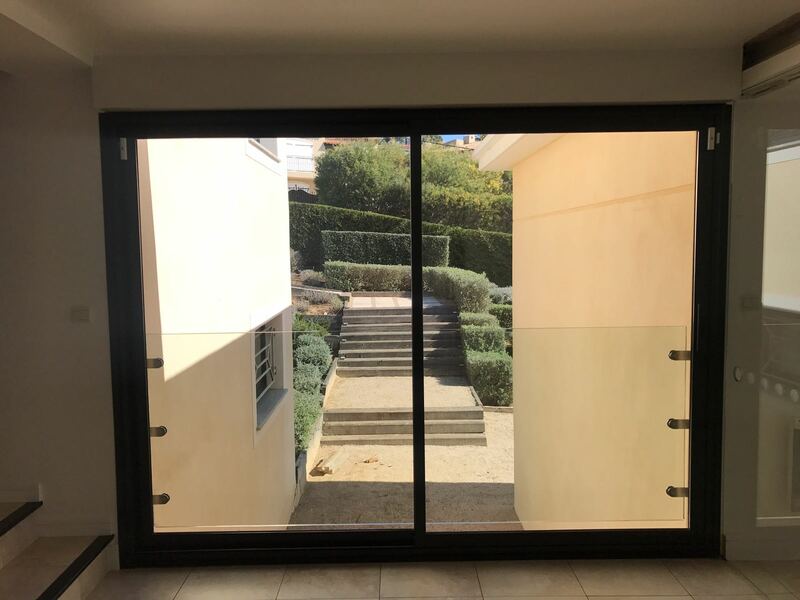 An internal sliding glass door separates the kitchen and living areas from the entrance hall, allowing the space to be opened up for entertaining or kept closed for privacy, whilst retaining maximum flow of light throughout the interior of the villa. 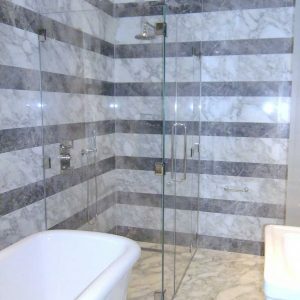 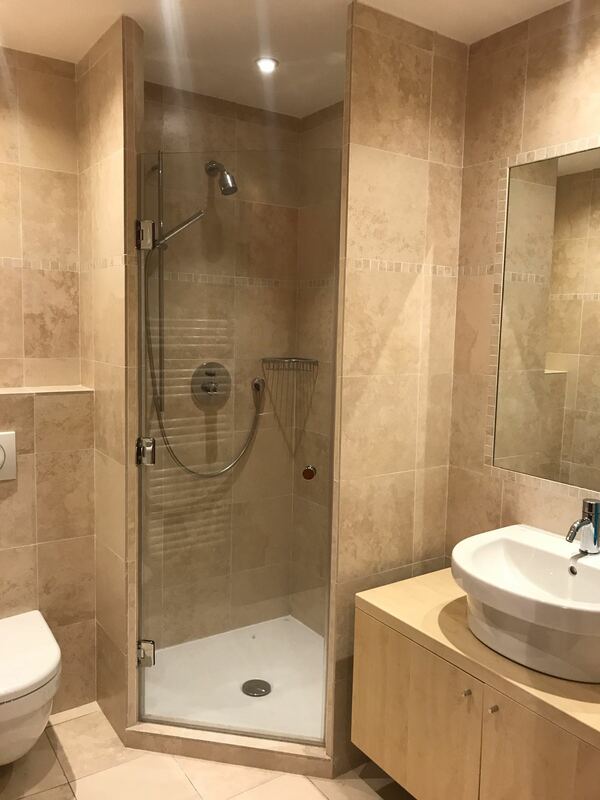 Tired, older-style framed shower enclosures were replaced with contemporary frameless glass shower enclosures, updating the bathrooms throughout the villa. 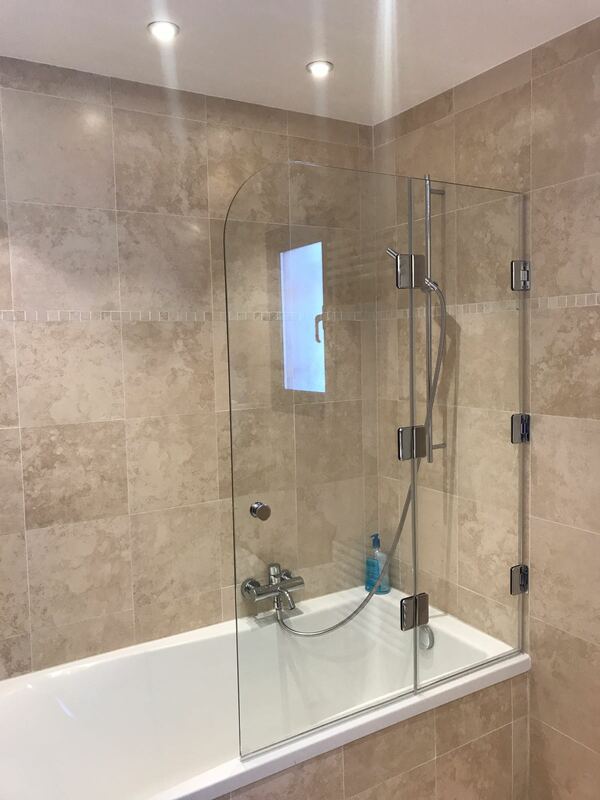 The master en-suite also benefitted from the addition of a sleek folding bath-screen. 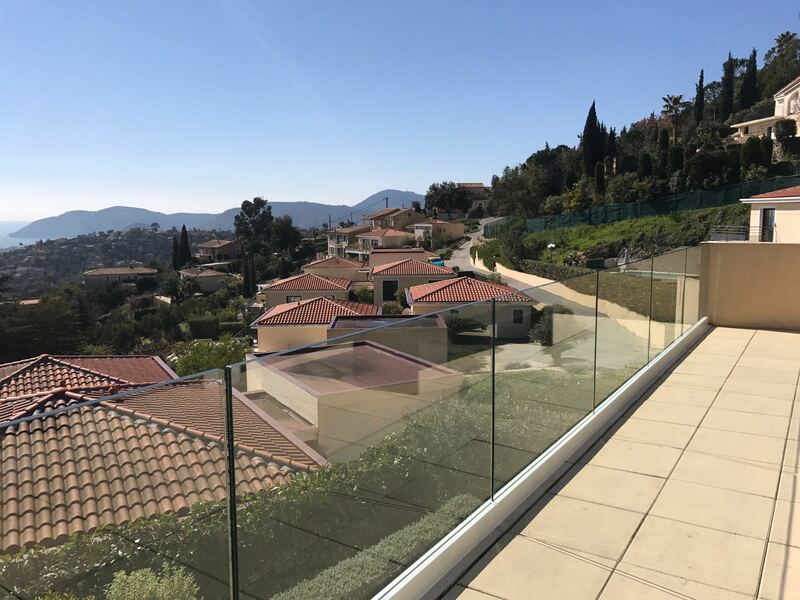 Metal railings were replaced with glass Juliette balconies, maximising the views from a number of full height windows. 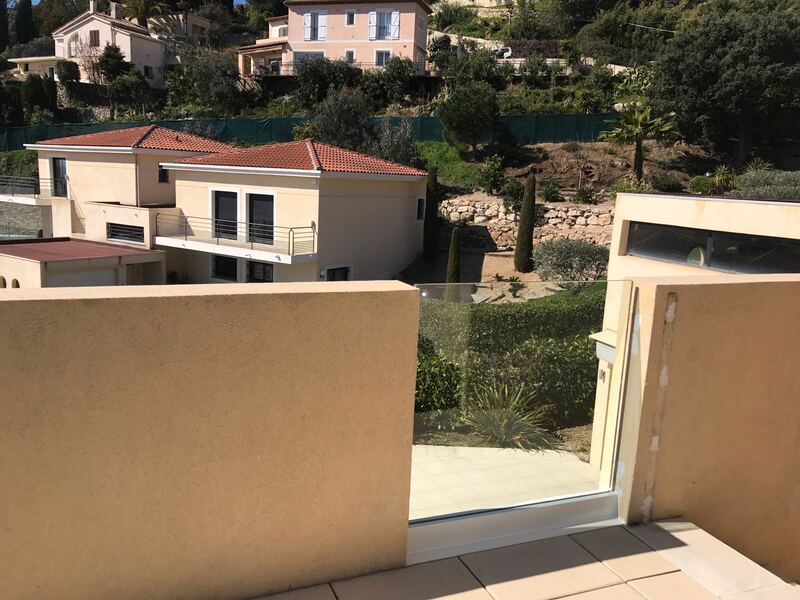 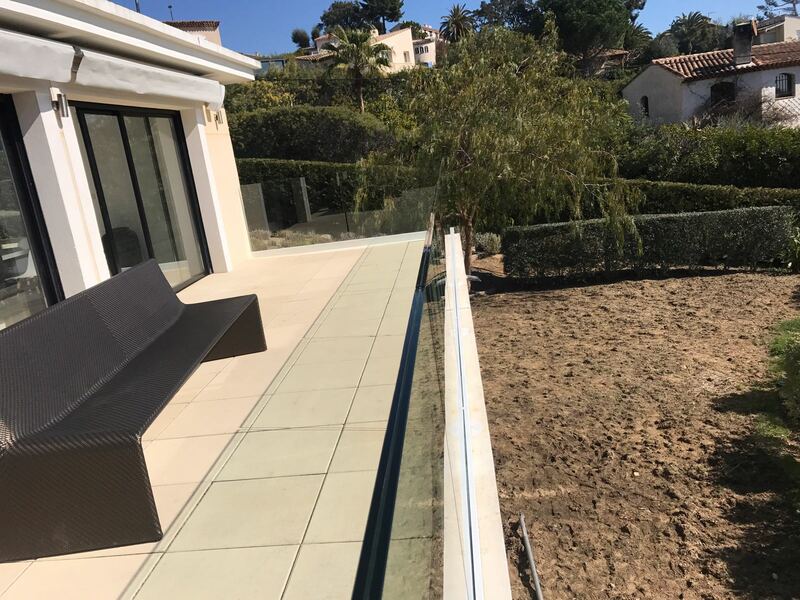 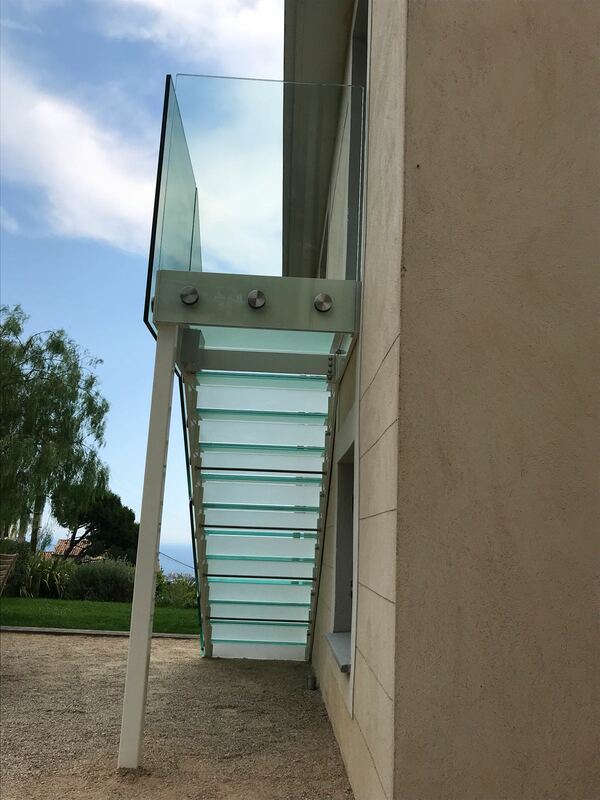 The entire structural glass project was designed and engineered in the UK, transported to the site in the South of France and installed by Ion Glass technicians. 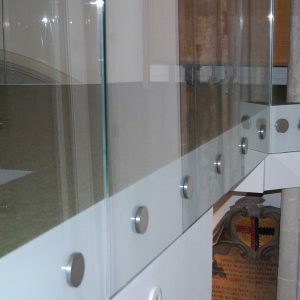 An initial visit to the site established accurate measurements and all the glass and bespoke metalwork was commissioned or manufactured by Ion in the UK.The stringers for the glass staircase were manufactured in stainless steel, designed to be set onto a concrete footing combined with a single stainless steel support leg for a stylish and minimal result. 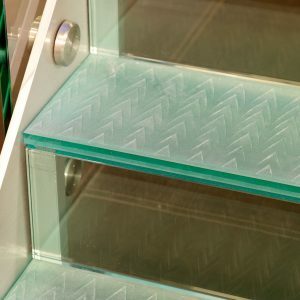 Ion worked with a provider of LED lighting to create a cleverly designed ropelight, sealed into the structure to provide a milky white light diffused by the sandblasted treads. 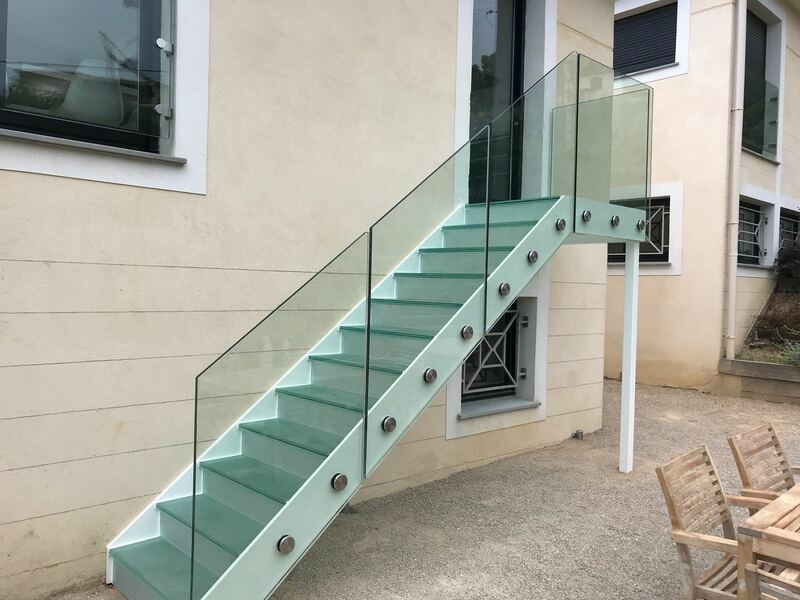 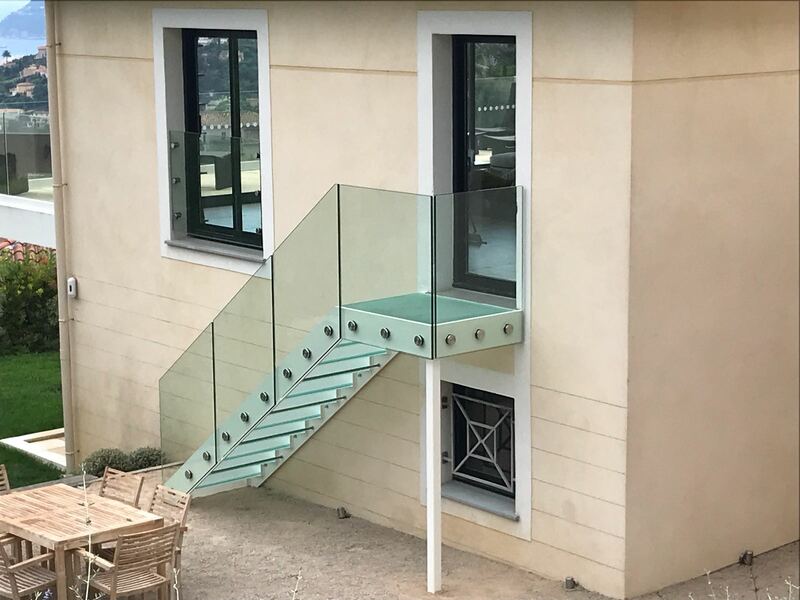 The staircase is finished with a fully frameless glass balustrade in 21.5 mm laminated and toughened clear float safety glass bolted to the stringers to complete the sleek, minimal appearance. 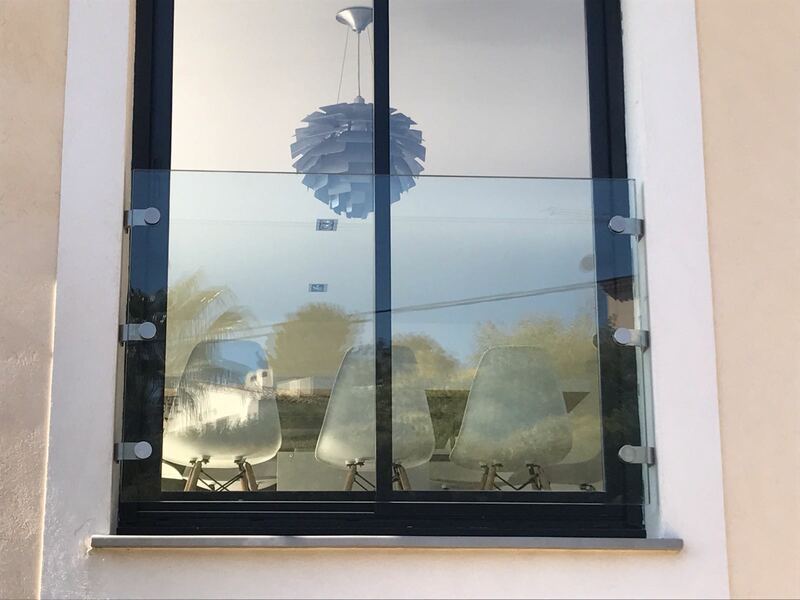 All the fixtures and fittings, including the mechanism for the internal sliding door, balustrade channels, shower hinges and ironmongery were polished or coated as appropriate, prior to transportation to France. 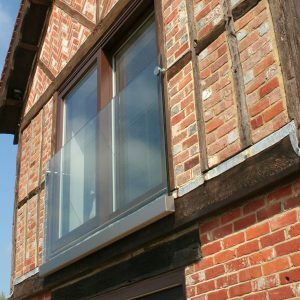 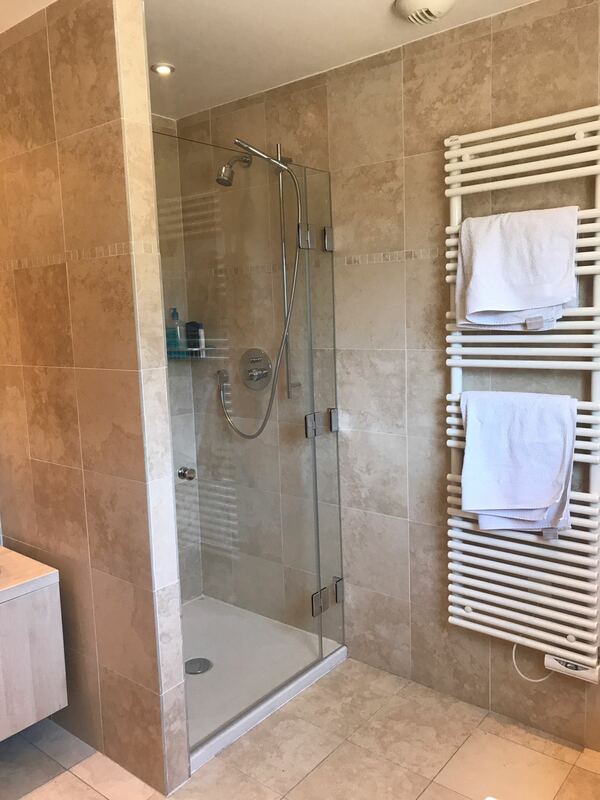 The project is fully compliant with all local regulations, which are slightly different to the more familiar British standards.